I wanted to talk about this set of games I received and am SO IN LOVE WITH. 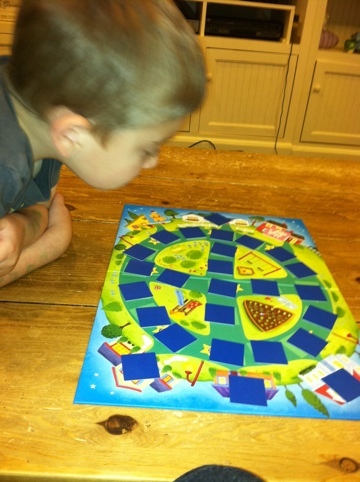 Cooperative play isn’t really typical in the board game, but it’s a really great night of fun when the kids are small. Don’t get me wrong. 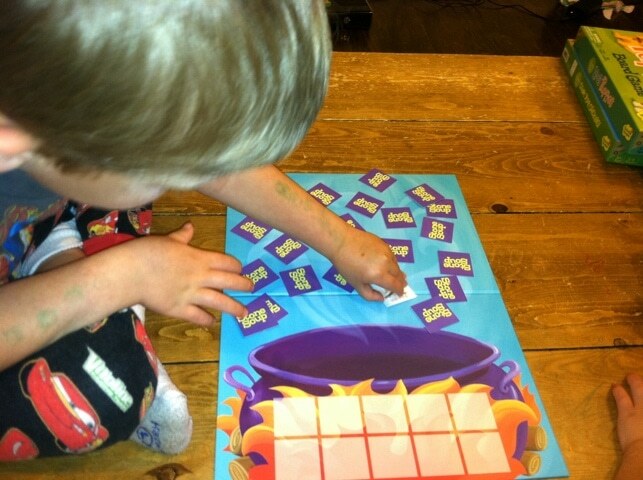 I am ALL ABOUT competition – but when my little one is only 3 he’s at a bit of a disadvantage. These games are PERFECT when there is such a huge age gap and you want everyone to feel good about family time. 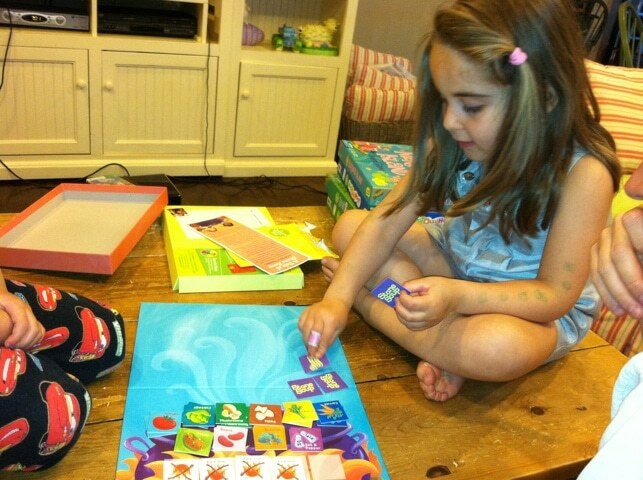 So, let’s talk about what cooperative play games are available from ‘Peaceable Kingdom’. It took some explaining because this was the first time we’ve ever done something like this, but the kids quite enjoyed being on the same team. Even though there were 4 of us playing, we only had 3 pieces on the board and we each got to move them all. At first, Natalie was INSISTING she was the pink mermaid, but then she grasped that we ALL were the pink mermaid. Lots of clapping and high fiving. What a treat! 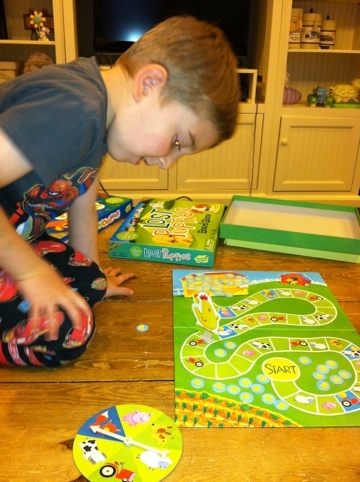 And your littlest ones will REALLY love these games. To learn more about each game, be sure to click here. REALLY MAKES GREAT GIFTS FOR YOUNG FAMILIES!! 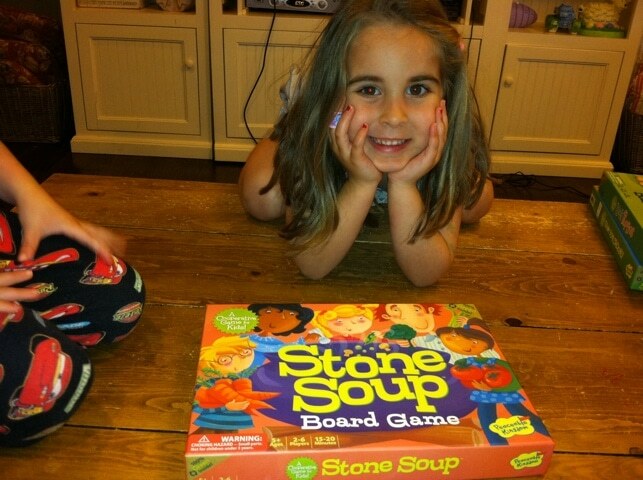 love stone soup…..game and book!!!! 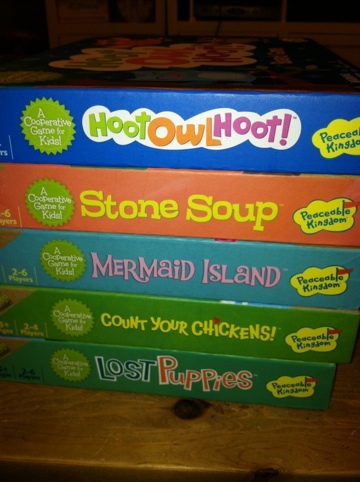 I seriously cannot wait until my boys are big enough to play these games. I think 2 is still too young for my oldest boy..guess I have to wait!